Serverless applications are all the rage right now — and some companies are even leapfrogging containers to go all-in on services like AWS Lambda and Azure Functions. Unsurprisingly, these services are now spawning their own startup ecosystems. 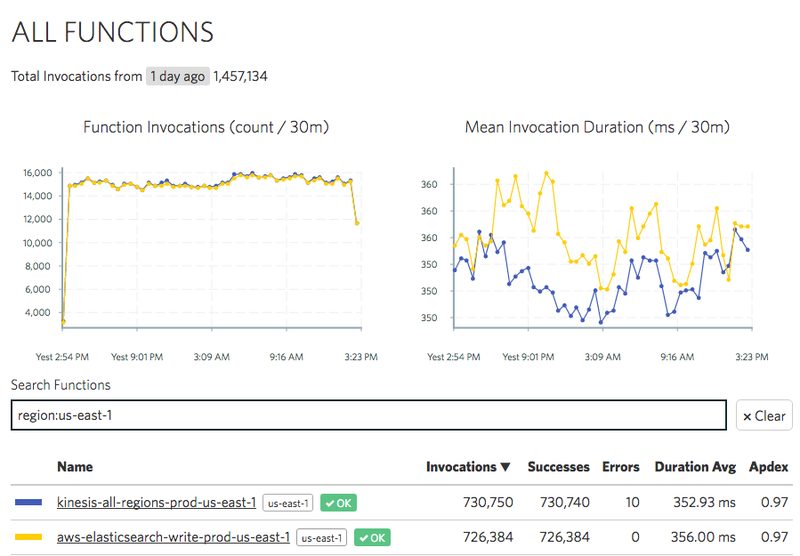 IOpipe, which is coming out of beta today, is an application operations platform (with a current focus on monitoring) for AWS’s Lambda service. The Seattle-based company also today announced that it has raised a $2.5 million seed round from Madrona Venture Group, NEA and Underscore VC, all of which have plenty of experience in the infrastructure space. IOpipe co-founders Adam Johnson (CEO) and Erica Windisch (CTO), too, are highly experienced in this space, having previously worked at companies like Docker and Midokura (Adam was the first hire at Midokura and Erica founded Docker’s security team). They recently graduated from the Techstars NY program. The idea behind IOpipe is pretty straightforward: provide developers and ops teams better insights into how their applications run on Lambda (with support for other platforms potentially coming in the future) to help them troubleshoot bugs, memory leaks and other issues. All developers have to do to enable the service, which provides them with all the usual performance metrics for their functions in a real-time dashboard, is to wrap their functions into IOpipe’s code. The service also measures calls to third-party services, including all the standard AWS services like S3 or DynamoDB. Johnson tells me that the company’s customers span a wide gamut and include startups and enterprises. This is, of course, a function of Lambda’s customers, too. “Every week I’m surprised about the companies I run into that are running Lambda,” Johnson said. A year ago, these users were still mostly early adopters, but since then, quite a few enterprises are starting to experiment with Lambda or even running production workloads on the platform. The company currently has eight employees, though with this new funding round, it’ll probably expand quickly. Looking ahead, the team plans to build more features on top of its current solution (which now features a plug-in architecture) to branch out from its current operations focus to better serve developers directly, too. “We spent a lot of time up until now building out the table stakes features for monitoring and making sure they are scalable and stable,” Johnson noted, adding that the service’s plug-in architecture now allows the team to provide its users with more functionality.